Explore how the beauty and vitality of the natural world can transform modern society. Hardcover edition. 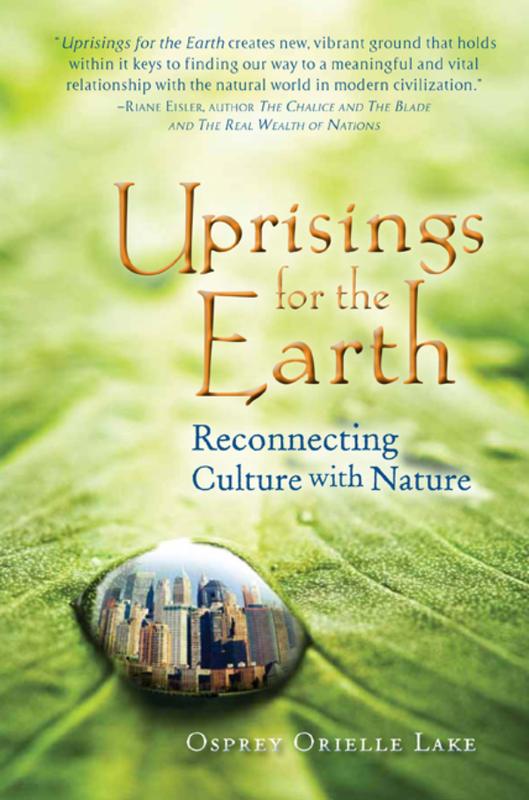 This groundbreaking book from artist-author-advocate Osprey Orielle-Lake explores how the beauty, vitality, and ecologi­cal systems of the natural world can guide and transform hu­man perspective, particularly as we face current environmental crises. Lake shows that we must infuse our cul­tural discourse with the language, importance, and wisdom of nature: That lasting changes in our way of life will arise from and find broad support only when nature in all its transforma­tive beauty and power is once again front and center in our every day vocabulary and life.